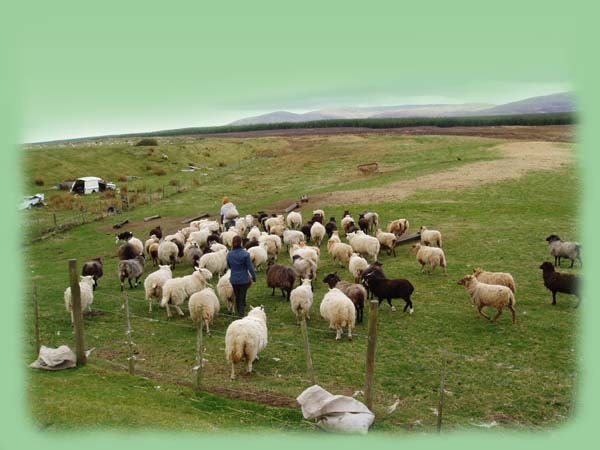 There are a number of different theories regarding the origins of domestic sheep. However, most sources agree that they originated from mouflon. There are two wild populations of mouflons still in existence: the Asiatic mouflon which is still found in the mountains of Asia Minor and southern Iran and the European mouflon of which the only existing members are on the islands of Sardinia and Corsica. These two species are closely related. Some sources even hypothesize that the European mouflon actually developed from the first domestic sheep in Europe being allowed to become feral and that all sheep are actually descendants of the Asiatic mouflon. Sheep were among the first animals domesticated. An archaeological site in Iran produced a statuette of a wooled sheep which suggests that selection for woolly sheep had begun to occur over 6000 years ago. The common features of today's sheep were already appearing in Mesopotamian and Babylonian art and books by 3000 B.C.